Choice of Flower Girl Basket (without extra ribbons, as shown in Photo 1) or Ring Bearer Basket (with extra ribbons as shown in Photo 3). Simple and fresh! 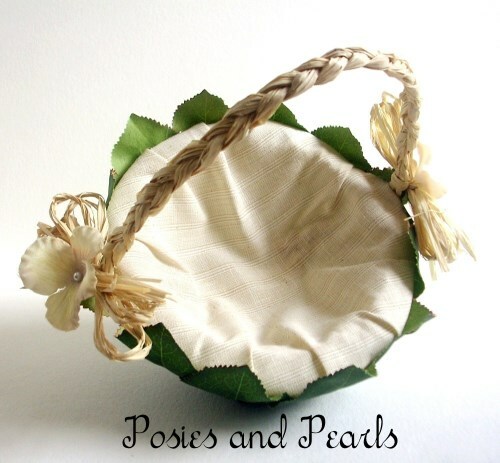 This darling basket is covered with natural details! Rich silk leaves are carefully placed and affixed to the base in an overlapping, shingle-like pattern. Soft linen fabric, in a subtle striped pattern, lines the inside of the basket. 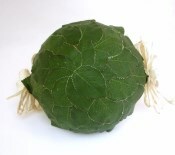 I have braided several strands of natural raffia to create a handle. 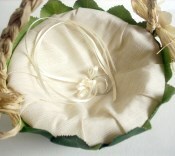 Simple raffia bows are tied onto each side of the handle. 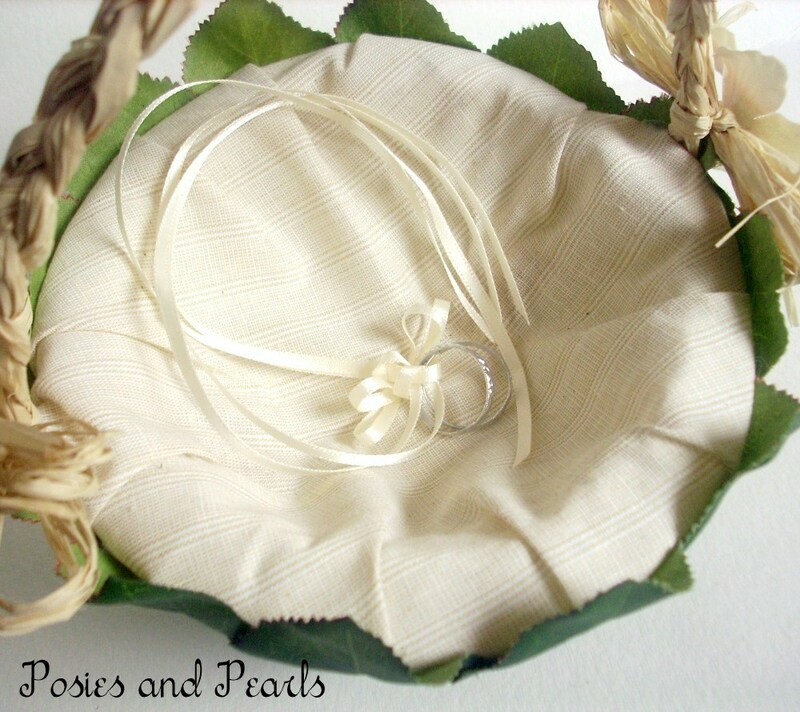 The finishing touches are the delicate blossoms which are centered with pearl pins and placed at the middle of each bow. 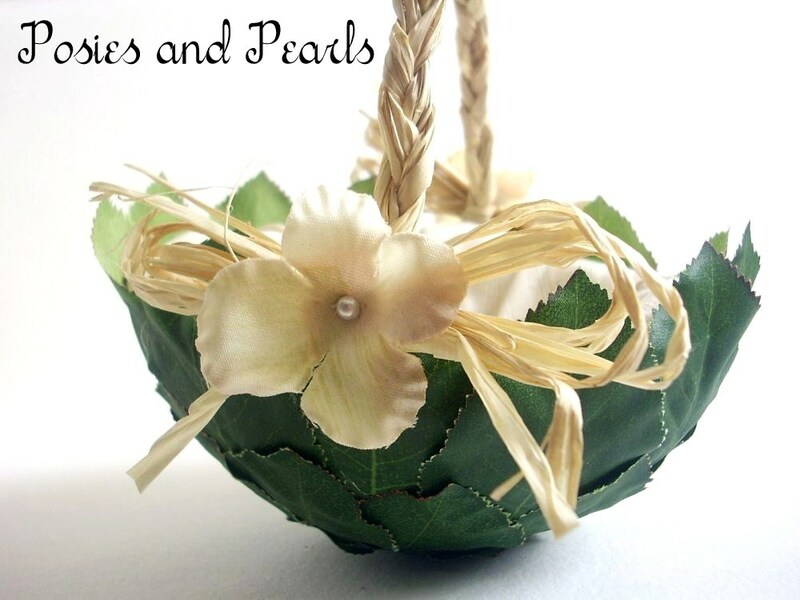 CUSTOM REQUESTS: This basket can be made with different colored leaves - perhaps even some fall leaves for an autumn wedding. It can also be made in a larger size. Contact me and I will be glad to assist you.